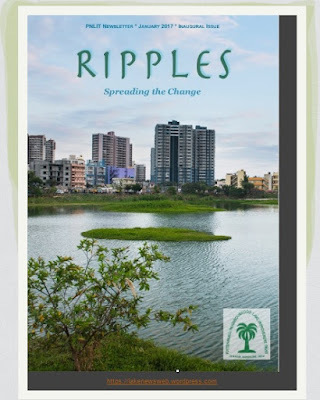 We are pleased to release the Inaugural issue of the PNLIT Newsletter "RIPPLES". As a well wisher of the PNLIT and Puttenahalli Lake, we hope you will enjoy reading this! To read the newsletter, click the link or the picture below. Do subscribe to receive the newsletter regularly.